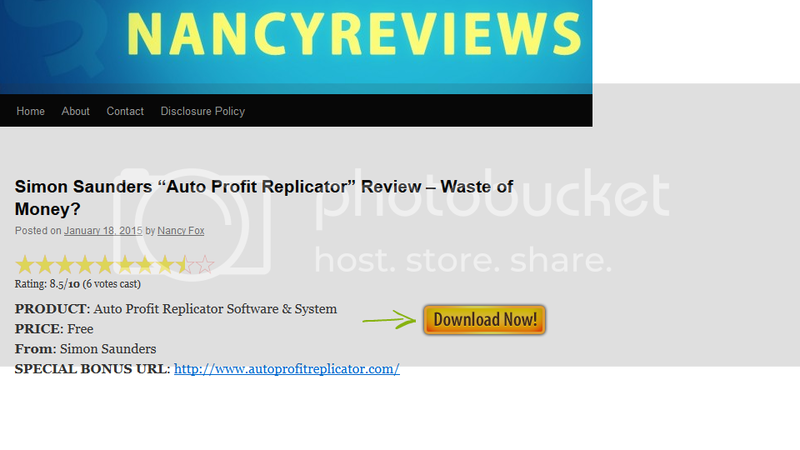 Auto Profit Replicator - Give it Me for Free! Thread: Auto Profit Replicator - Give it Me for Free! "Give It Me For Free!" Re: Auto Profit Replicator - Give it Me for Free! And he's giving it away for free. 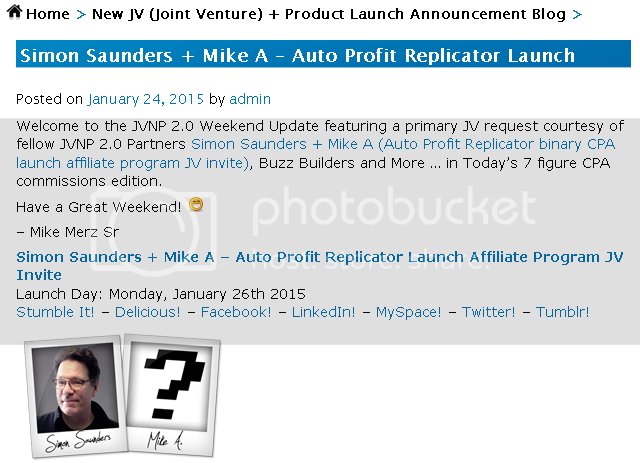 "The Auto Profit Replicator system is free to join only if you get invited." That is, only if you get invited by the thousands of affiliate marketers promoting this nonsense. "Nancy" claims that "Simon" only makes money when you profit on your trades. My guess is that the reality is that "Simon" profits when a person deposits money into a brokerage account. "Nancy" claims that she is having 84% winning trades from using the Auto Profit Replicator software. I'm pleased to announce that I just received spam using the name "George Henderson" that Auto Profit Replicator is 100% Real. Sure it might be full of fake YouTube testimonials and show up in the Google Suggest function on feature along with the words Malware, Download and Removal, but what does any of that really mean? I base most of my decisions about whether something is legit or not by some random spammer telling me it's 100% real! however, you only have 12 more hours to activate.